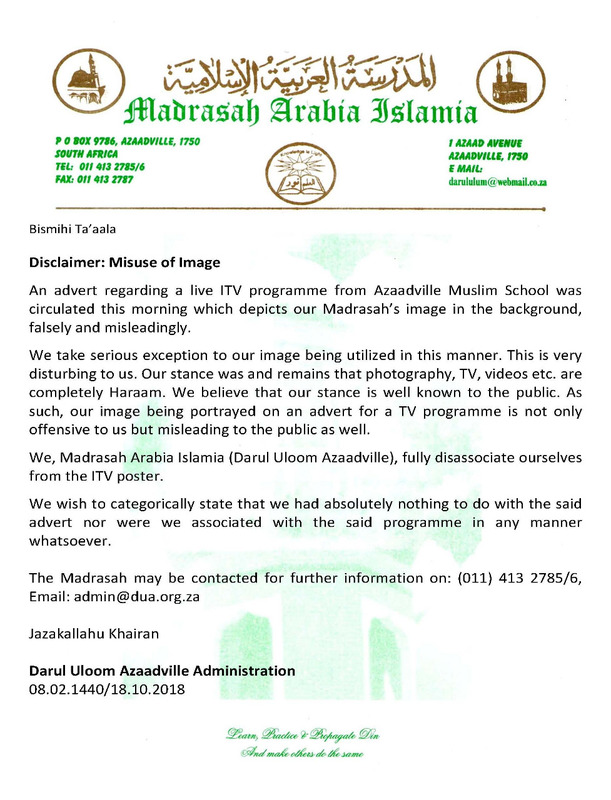 An advert regarding a live ITV programme from Azaadville Muslim School was circulated this morning which depicts our Madrasah’s image in the background, falsely and misleadingly. We take serious exception to our image being utilized in this manner. This is very disturbing to us. Our stance was and remains that photography, TV, videos etc. are completely Haraam. We believe that our stance is well known to the public. As such, our image being portrayed on an advert for a TV programme is not only offensive to us but misleading to the public as well.